1700801 420CT CASE 420CT Compact Track loader Spare parts catalog. Operation and maintenance. Service manual. 1700802 420CT CASE 420CT Compact Track loader Spare parts catalog. Operation and maintenance. Service manual. 1700803 420CT CASE 420CT Compact Track loader Spare parts catalog. Operation and maintenance. Service manual. 1700804 420CT CASE 420CT Compact Track loader Spare parts catalog. Operation and maintenance. Service manual. 1700805 420CT S3 CASE 420CT S3 Compact Track loader Spare parts catalog. Operation and maintenance. Service manual. 1700806 420CT S3 CASE 420CT S3 Compact Track loader Spare parts catalog. Operation and maintenance. Service manual. 1700807 420CT T3 CASE 420CT T3 Compact Track loader Spare parts catalog. Operation and maintenance. Service manual. 1700808 420CT T3 CASE 420CT T3 Compact Track loader Spare parts catalog. Operation and maintenance. Service manual. 1700809 420CT T3 CASE 420CT T3 Compact Track loader Spare parts catalog. Operation and maintenance. Service manual. 1700810 440CT CASE 440CT Compact Track loader Spare parts catalog. Operation and maintenance. Service manual. 1700811 440CT CASE 440CT Compact Track loader Spare parts catalog. Operation and maintenance. Service manual. 1700812 440CT CASE 440CT Compact Track loader Spare parts catalog. Operation and maintenance. Service manual. 1700813 440CT CASE 440CT Compact Track loader Spare parts catalog. Operation and maintenance. Service manual. 1700814 440CT CASE 440CT Compact Track loader Spare parts catalog. Operation and maintenance. Service manual. 1700815 440CT S3 CASE 440CT S3 Compact Track loader Spare parts catalog. Operation and maintenance. Service manual. 1700816 440CT S3 CASE 440CT S3 Compact Track loader Spare parts catalog. Operation and maintenance. Service manual. 1700817 440CT T3 CASE 440CT T3 Compact Track loader Spare parts catalog. Operation and maintenance. Service manual. 1700818 440CT T3 CASE 440CT T3 Compact Track loader Spare parts catalog. Operation and maintenance. Service manual. 1700819 445CT CASE 445CT Compact Track loader Spare parts catalog. Operation and maintenance. Service manual. 1700820 445CT CASE 445CT Compact Track loader Spare parts catalog. Operation and maintenance. Service manual. 1700821 445CT CASE 445CT Compact Track loader Spare parts catalog. Operation and maintenance. Service manual. 1700822 445CT S3 CASE 445CT S3 Compact Track loader Spare parts catalog. Operation and maintenance. Service manual. 1700823 445CT S3 CASE 445CT S3 Compact Track loader Spare parts catalog. Operation and maintenance. Service manual. 1700824 445CT S3 CASE 445CT S3 Compact Track loader Spare parts catalog. Operation and maintenance. Service manual. 1700825 450CT CASE 450CT Compact Track loader Spare parts catalog. Operation and maintenance. Service manual. 1700826 450CT CASE 450CT Compact Track loader Spare parts catalog. Operation and maintenance. Service manual. 1700827 450CT CASE 450CT Compact Track loader Spare parts catalog. Operation and maintenance. Service manual. 1700828 450CT T3 CASE 450CT T3 Compact Track loader Spare parts catalog. Operation and maintenance. Service manual. 1700829 450CT CASE 450CT Compact Track loader Spare parts catalog. Operation and maintenance. Service manual. 1700830 450CT S3 CASE 450CT S3 Compact Track loader Spare parts catalog. Operation and maintenance. Service manual. 1700831 TR270 CASE TR270 Compact Track loader Spare parts catalog. Operation and maintenance. Service manual. 1700832 TR270 CASE TR270 Compact Track loader Spare parts catalog. Operation and maintenance. Service manual. 1700833 TR320 CASE TR320 Compact Track loader Spare parts catalog. Operation and maintenance. Service manual. 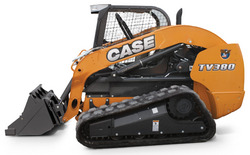 1700834 TR320 CASE TR320 Compact Track loader Spare parts catalog. Operation and maintenance. Service manual. 1700835 TV380 CASE TV380 Compact Track loader Spare parts catalog. Operation and maintenance. Service manual. 1700836 TV380 CASE TV380 Compact Track loader Spare parts catalog. Operation and maintenance. Service manual.